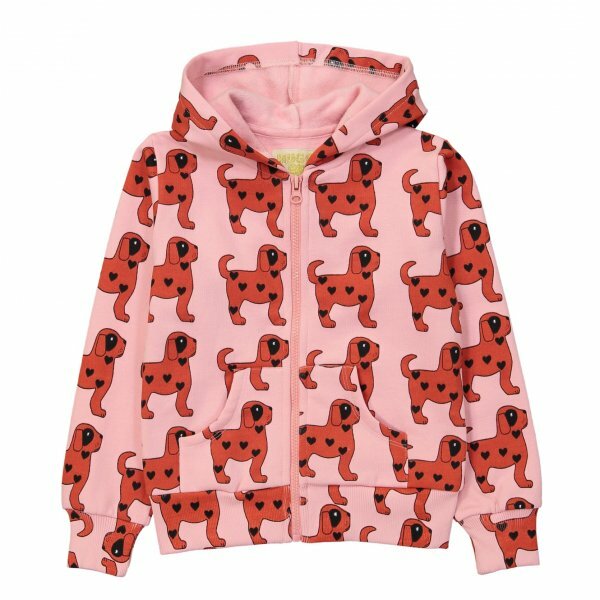 Trendy hoodie with all over pink dogs print. Unisex. Eco fashion for kids.